Each year brings with it new fads and fashions that kids just have to add to their back-to-school wish lists. From the latest fringed tops to classic button-down shirts in this season's hot hues, there are a few key items that will help ensure your child is on trend. Back-to-school fashion trends dictate what kids search for in local department stores and online every school year. The hot color for 2015 seems to be mustard, while layered looks take the prize for trendiest style. The following other recent fashion trends are showing up on the racks of many stores. These are often paired with bohemian-inspired, flowy tops. This year's hottest version is called the jogger, which has a cinched waist and ankles reminiscent of sweatpants only with narrower legs. This year's biggest trends are taking inspiration from 1970's fashions. 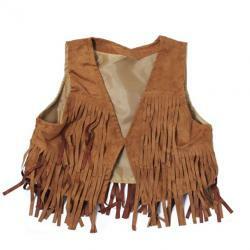 Look for everything from a little fringe accenting a dress to entire vests made of torso-length fringe. Lace isn't just for formal tablecloths anymore! 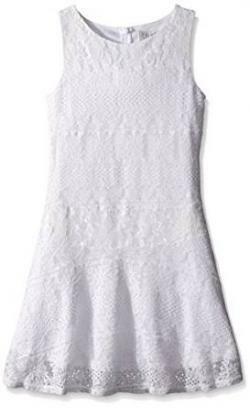 Expect to find lace dresses, coats, and even shoes on your daughter's wish list for 2015. With campaigns such as #LikeAGirl, there are more sporty options and graphics with empowerment messages for girls than ever before. 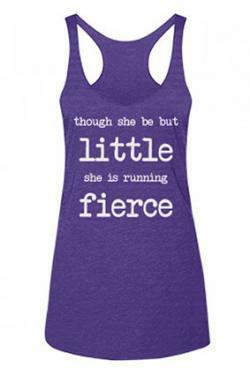 Think neon colored racer-back tanks and multi-colored sneakers for young girls this year. Skirts are shorter, many with lots of pleats, and leggings are a great way to allow her to be active without worrying about modesty. You'll find leggings in solid colors and prints as well as metallic or jeweled patterns. This year's hottest accessory is nail art for girls. With companies like Jamberry offering any pattern you can think of, young girls are even jumping on the mommy & me trend with nail art to match their mom's. 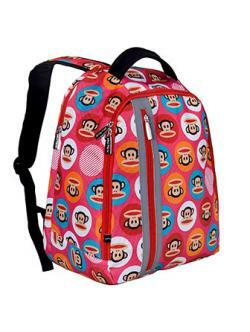 Modern backpacks have become as much an accessory as jewelry for most young girls. With endless possibilities in color and pattern, girls can show off true personality even when the rest of their outfit is hidden under a coat. 2015 is all about bright colors and boots. Sneakers and slide-ons are available in just about every color under the sun and usually include more than one color. Tall boots or cute booties paired with leggings and dresses are sure to turn heads with fashion envy. In the past, it may have seemed like there were more options for girls in terms of trendy style, but back-to-school fashions for young boys have become a priority for fashion designers. Boys have a desire to be just as fashionably outfitted as girls, but what's the going trend for guys? When paired with a t-shirt or button-down shirt, jeans are typically part of the daily uniform of a young man. 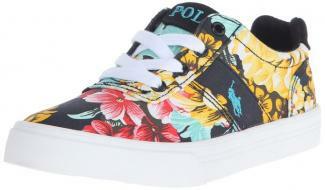 In 2015 unisex styles are all the rage with boys scooping up jogger style jeans as quickly as girls. Graphic t-shirts are a particular favorite for boys of all ages. 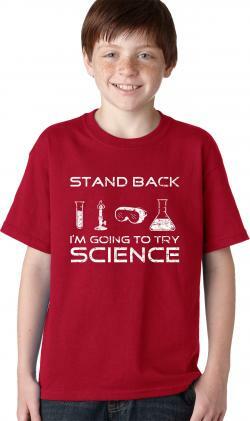 Screen prints and witty sayings will dominate the t-shirt aisles in 2015 as boys are letting their clothes say it all. Boys are getting bolder in their style choices, and this year that means layering different patterns and types of shirts. Look for pull-overs and cardigans that can showcase screen printed tees or button-down shirts underneath to help your guy get this look. 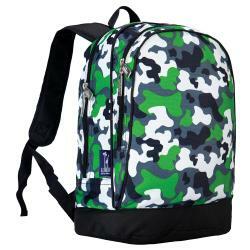 Backpacks that pack a lot of punch in the style department are hot for boys this year too. Bold patterns in bright colors are just what every guy needs. Guys' footwear range from Converse tennis shoes to moccasin-styled loafers. 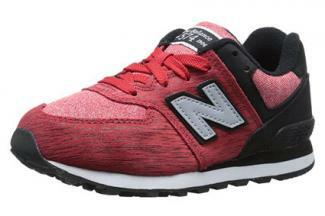 Patterned and brightly colored sneakers are a fast-growing trend for boys. 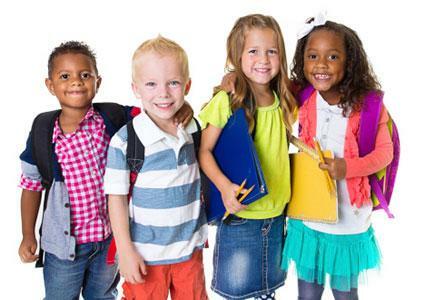 Filling your child's wardrobe with fashionable new clothing can get quite expensive, particularly if those same fashions are considered "out of date" the following year. The best way to solve this problem is to focus on providing the essentials with a few fad items thrown in. Always keep a few basic clothing items on hand that epitomize those trends that never seem to go out of style. 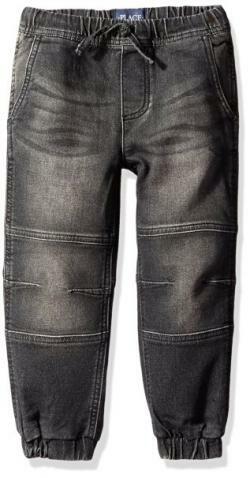 Probably the most basic and common clothing item in anyone's closet, regardless of age, jeans are simply here to stay. Sure, the legs may be wider or narrower, and jean colors may range from yellow to faded denim, but this fashion trend remains extremely versatile and easily accessorized. Opt for a standard version, which you can easily pair with the latest trends in tops and shoes each season. Alternatively, you can allow your child one pair of trendy jeans to mix with staple tops. Everyone owns t-shirts. Some are one solid color, while others display bold graphics. Any way they are designed, you can wear t-shirts with skirts, jeans, capris, and even dress pants, making them a must-have clothing item. Layer t-shirts cwith the season's hottest pull-overs or accessories such as scarves. Hoodies rank right up there in importance with jeans and t-shirts as a staple for any kid's wardrobe. These versatile tops can show off school pride or take the place of a jacket in cooler weather. While many kids love looking great, their number one priority is usually comfort. Sweatpants are now available in all shapes, sizes, and colors for both girls and boys. Warm-up pants are also easy to get on, offer flexibility for comfort, and can be dressed up with a pull-over cardigan. Leggings are the typical style girls go for in this category and, plain or patterned, these have become a staple item. Whether you buy your son or daughter a name-brand button-down shirt, such as the ever popular Ralph Lauren Polo line, or find a cheaper version, button-down shirts are a classic favorite among boys and girls. Today's button-downs come in a variety of colors, making them the perfect accompaniment to jeans, khakis, skirts and shorts. Button-down shirts also work great as a layering piece, and old ones can easily be worn under or over a shirt that follows the trends of the season. Fashion trends will continue to change for kids from one year to the next, but building a wardrobe around popular basic garments will help you keep your clothing budget under control and allow your kids to dress in style. Pick up a few of the trendy items to complement a wardrobe of basics, and your kid will be right in fashion.